Eventhough my darling boyfriend and I won‘t be getting engaged in the foreseeable future (it‘s probably going to take another year or so), I like to be prepared anyway. I found my dream ring and want to add some customizations to it, however I‘m unsure of what specs to choose. Round brillant cut moissanite center stone with diamond side stones forming a snowflake halo and diamonds on the band. Set in 14k yellow gold. Here it is in white gold, however I don‘t really like how white metals look on my skin. My ring size is an austrian size 50 (don‘t know what it‘d be in international/US size), got this little ring off ebay to see if I could pull off a white metal but unfortunately I don’t think I can. The “dilemma“ I‘m facing is 1) what size centerstone to go for and 2) what colour gemstone to choose. I read that the stone picks up the color of the setting, so if i get a yellow gold setting the stone will look warm anyway so there isn‘t really a need to get a colorless stone, is there? Do you think I could get a near colourless stone and maybe save a little bit of money, or will it all look waaaay yellow? FWIW, I think you can pull off the white metal beautifully! But the yellow gold would also be beautiful. What size look do you want? I have a 7.5mm on a size 4 finger – so roughly 1 size smaller than you. I think it’s a nice size, but it’s a solitaire. It’s definitely a bold look but not overwhelming. With the side stones, I think 6.5mm would look really nice. And for yellow gold, I think near colorless would be fine. ETA: Here is my ring! With warm undertones in your skin, maybe try rose gold? chelbell23 : that‘s very kind of you, thank you! I don’t think I would go for anything bigger than one carat equivalent, because I don‘t want it to look like costume jewelry as it‘s already quite a lot.. Your ring is absolutely beautiful! 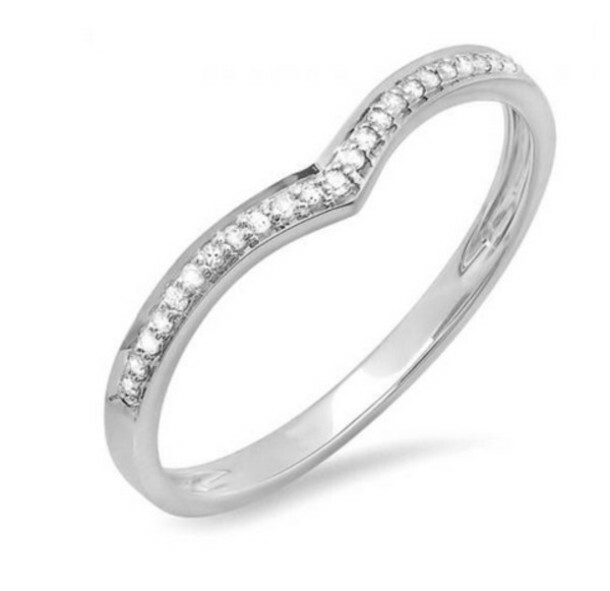 Do you already know what kind of wedding band to pair with it? Is it a colourless stone? Rose gold is really pretty as well, I‘ll have to do some more research on that. It‘s definitely going to be a coloured metal though that‘s for sure. What a stunning ring you have! Did you design it yourself? Truly gorgeous! I agree with a PP about rose gold, I also don’t like how white gold and plantinum etc look with my skin tone. I have an 18k rose gold engagement ring and it looks quite close to yellow gold due to the low amounts of copper in. sparklyglitterbee : thank you ❤️ We did design it together. She is an absolute genius. So she told me my metals I could wear – rose Gold, and antiqued yellow. It took the guesswork out of it. I think the ring looks lovely on you, but the blue-white just stands out to my eyes as too cold for your skin tone. I think a 6.5mm/1ct equivalent would be a great size for that setting and your finger size, I don’t think it would look costumey at all. Maybe get a cheap 1ct equivalent CZ ring and see if you like the size on your finger and go from there? I’ll check that out, thank you and thank you for the great advice! It‘s lovely and looks like a great size, especially for a solitaire! Engagement rings where I live are only starting to gain popularity now and the selection is very limited, and the stones are so tiny, but still expensive. So a ring like yours is a dream! I‘ll check out some CZ‘s, thank you for the tip! Also, that art deco band is to die for! Makes for a really unique look! I saw a bee on here with champagne gold. I’m not sure what exactly that is composition-wise, but it was stunning. What a beautiful ring! Thanks for sharing! Champagne gold would be absolutely perfect! I‘ll be searching around the bee, thank you!